March 21, 2016 – A state appeals court has upheld the conviction of a man charged with leaving the scene after striking or nearly striking a bicyclist with his vehicle, rejecting the man’s argument that the evidence did not support the jury’s verdict. In August 2014, Thomas Wakely hit or almost hit a bicyclist in Rhinelander around 9 p.m. The bicyclist suffered physical injuries, including a gash on his hand. Wakely stopped. The bicyclist accused Wakely of striking his bike. Wakely contested that accusation. Then he left the scene before police arrived and did not report the accident. A witness aided the police investigation, which led to a municipal citation. Wakely represented himself at trial. A six-person jury found that Wakely was guilty of failing to notify police of an accident, under Wis. Stat. section 346.70(1). Wakely appealed, initially pro se. He argued that a report was not necessary unless it appeared that monetary damages were more than thresholds set by statute. But in City of Rhinelander v. Wakely, 2015AP302 (March 8, 2016), Appeals Court Judge Lisa Stark upheld the conviction, rejecting Wakely’s interpretation. The statute says in relevant part that “the operator or occupant of a vehicle involved in an accident resulting in injury to or death of any person, any damage to state or other government-owned property [except vehicles] … to an apparent extent of $200 or more, or total damage to property owned by any one person [or government-owned vehicle] … to an apparent extent of $1,000 or more” must notify law enforcement immediately. 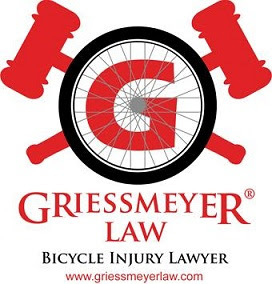 Wakely argued that reporting the incident was not required because, at the time of the accident, it didn’t appear that the monetary cost of the injuries would be more than $200, and it didn’t look like the monetary damage to the bicycle exceeded $1,000. “Wakely’s argument that insufficient evidence was presented at trial is based upon the false premise that, in order for him to be found guilty of violating § 346.70(1), he must have caused damage and injury to the apparent [monetary] extent,” wrote Judge Lisa Stark, noting “apparent” damage is not a factor when someone is injured. The panel also rejected Wakely’s argument that the jury received erroneous jury instructions. That is, he said the court should have informed the jury that he could not be guilty for failing to report the accident unless the “apparent extent” of the injuries exceeded $200, or the “apparent extent” of the bike damage exceeded $1,000.